Allow yourself a moment of ultimate relaxation and sink deep into the Swamp. Because the Swamp is a comfortable upholstered lounge whose seat and back rest seem to sink away into the depths. Sinking into the Swamp feels like disappearing in a warm embrace, so let yourself go and relax. 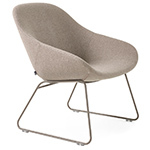 Michiel van der Kley has been working since 1987 as a designer. He is currently working on a variety of projects for several Dutch manufacturers. 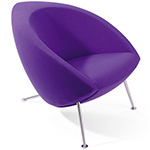 Michiel has contributed a number of unique designs to Artifort's prestigious furniture line. 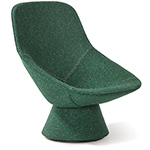 The Swamp is the latest of Michiel van der Kley's creations for Artifort. 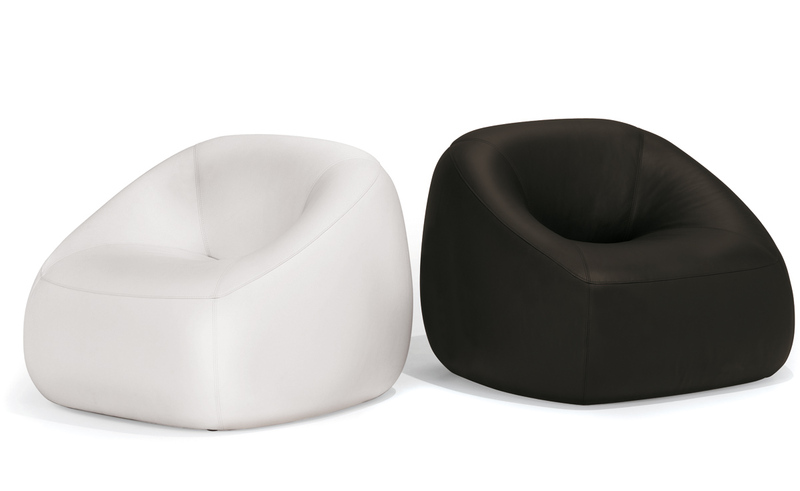 Inviting and extremely comfortable, it is available in four versions. Swamp R is a one-person chair while Swamp XL is perfect as a snug, seductive loveseat. Swamp P and PXL are amazingly comfortable pouffes that make ideal footstools for the Swamp R and XL but can also be used on their own as an extra seat. 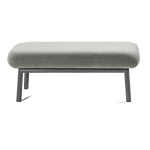 Swamp R is also available with different seat and exterior fabrics. Please call for details. Please note that pleats in the fabric cannot be avoided. 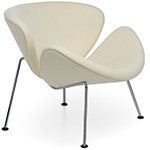 $1,855.00 + free shipping in the continental U.S.